His previous positions have included General Music Director of the City of Cologne and Gürzenich-Kapellmeister (posts he relinquished in the summer of 2014), Principal Guest Conductor of the Hallé Orchestra (2010-2014), Artistic Director and Chief Conductor of the Melbourne Symphony Orchestra (1998-2004), Principal Conductor of London Sinfonietta (1994–1998) and Artistic Director of the Montepulciano Festival (1989–1995). In 2000 he took the Melbourne Symphony on their first European tour including concerts in Munich, Cologne, Zurich and Salzburg, and in 2008 visited China with the Gürzenich Orchestra and conducted their first ever BBC Prom at the Royal Albert Hall. He later returned to China with Cologne Opera for two cycles of Wagner’s Ring in Shanghai, and Mozart’s Don Giovanni in Beijing both with the Gürzenich Orchestra. On the concert platform Markus regularly appears with several of the world’s leading orchestras, including the Royal Concertgebouw Orchestra, Berlin Philharmonic, Munich Philharmonic, NHK, the Symphony Orchestra of the Bayerische Rundfunk, Gewandhaus Orchestra Leipzig, London Philharmonic, Tonhalle Orchestra Zurich, Vienna Symphony and the Symphony Orchestras of the Hessische Rundfunk and NDR. 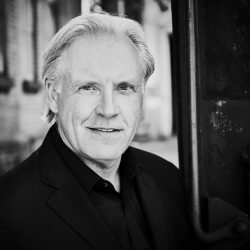 On stage he conducts the world premiere of Kurtag’s Fin de Partie at La Scala, Milan, and Dutch National Opera.